Get$Fit Tip: Sweat the small stuff. No. 1: Pay attention to your small expenses. No. 2: Invest in your future. No. 3: Build an emergency fund. No. 4: Learn Rule 72. No. 5: Pay yourself like a bill. You’re future self will thank you. Opinions expressed above are the personal opinions of the author and meant for generic illustration purposes only. 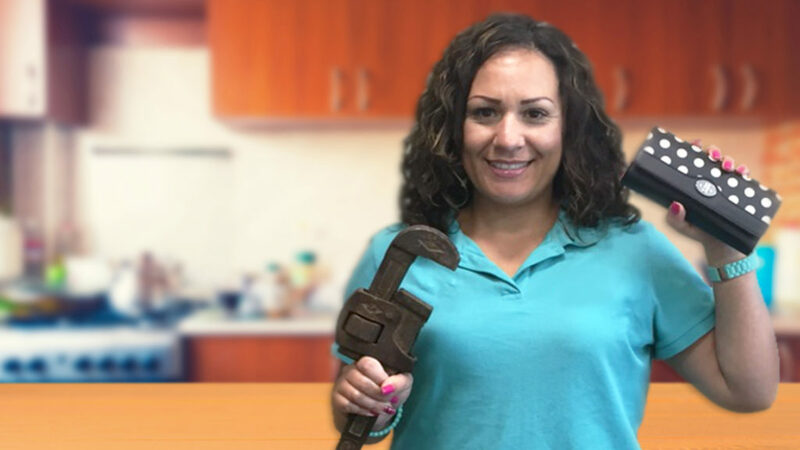 For specific questions regarding your personal lending needs, please call RCB Bank at 855-BANK-RCB, RCB Bank is an Equal Housing Lender and member FDIC. RCB Bank NMLS #798151. I challenge you not to accept your financial life as it is. This coming year, aim to get ahead — start an emergency fund, build your retirement savings, pay off your debt or take control of whatever money situation is causing you stress. The key to getting ahead is to get started. Here are some tips to help you make a financial change. To build your wealth, start paying yourself first. When you receive money, before you spend a penny, put some of it in your savings account or retirement fund. 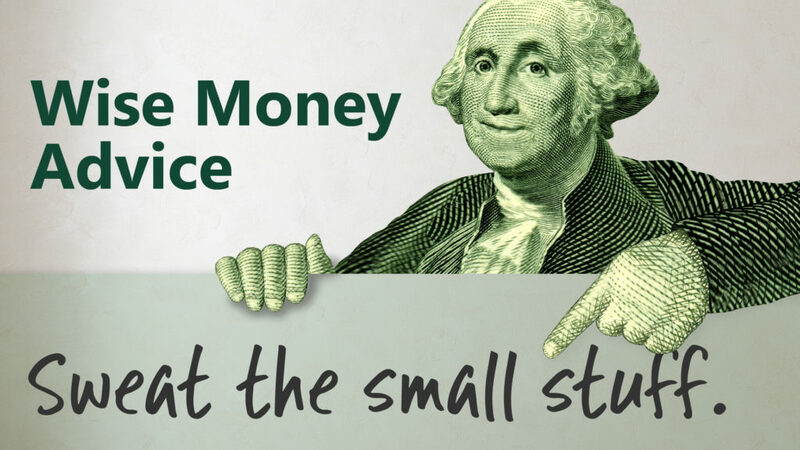 Set up automatic deposits and watch your savings grow with little effort. 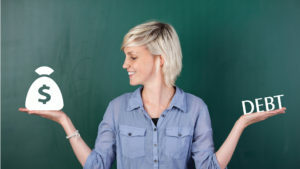 Changing your saving habits may require changing your spending habit, but the payoff – not worrying about paying your bills, taking a trip you’ve been dreaming of and retiring on your terms – is worth it. Paying late fees is like pulling money out of your wallet and throwing it into the wind. Start paying down debt, beginning with the highest interest debt. Pay your bills on time. If need be, call the company and see if you can adjust your due date. Never hurts to ask and it could save you from paying late fees. Fixed expenses – survival needs – should total no more than 50 percent of your income. Non-essentials – wants like TV, morning coffee, hair appointments – should total no more than 30 percent. Savings – emergency fund, retirement – should be 20 percent or more. Have a hard time sticking to a budget? Try this. Before you spend money on something you want, first put the same amount of money in a savings jar. You will be able to see exactly how much money you are spending, or how much you could be saving or using to pay off your debt. If you cannot afford to match your spending, you cannot afford whatever it is you want to purchase. Rich people stay rich by living like they are broke. It is a matter of what you value more, instant gratification or freedom from debt and having money when you really need it. You work hard for your money. Do not waste it on things you do not really need. 50/30/20 Plan: Elizabeth Warren and Amelia Warren Tyagi. All Your Worth: The Ultimate Lifetime Money Plan. Opinions expressed above are the personal opinions of the author and meant for generic illustration purposes only. RCB Bank, member FDIC. Money continues to be one of the top causes of stress for Americans, according to a survey released by the American Psychological Association. Researchers found that 72 percent of Americans polled reported feeling stressed about money. Financial stress also had a negative impact on their lives. Right now, choose to simplify your money matters and boost your financial wellness.Where to begin? Start by plugging your spending leaks. At first it’s only a little drip of cash. Spent on morning java, lunch out or the latest and greatest must-have new gadget. Before long it is a full blown crack in your wallet, draining your savings account. The damage can be severe, such as costing more than $15,000 in credit card debt for the average American household, according to a recent study by NerdWallet. When Romesburg made the decision to reduce her spending, she started by going over her bills and looking for areas to make cuts. “I changed my cell phone data plan from 8GB to 3GB,” she said. “That was a $30 savings per month ($360 a year). I can live without the internet for a few hours until I get home to my Wi-Fi.”She also called her cable company and asked about options to lower her bill. Saving money doesn’t require drastic changes to your lifestyle. Small changes on how you spend your hard-earned money add up. Take time to review your expenses and make adjustments that will not only boost your financial wellness but also your personal health and happiness. Opinions expressed above are the personal opinions of the author and meant for generic illustration purposes only. RCB Bank, member FDIC. Do you know your credit score? A good score matters if you want to want to qualify for lower loan interest rates. It may also improve your chances for lower fees on insurance premiums, like home and auto for example. 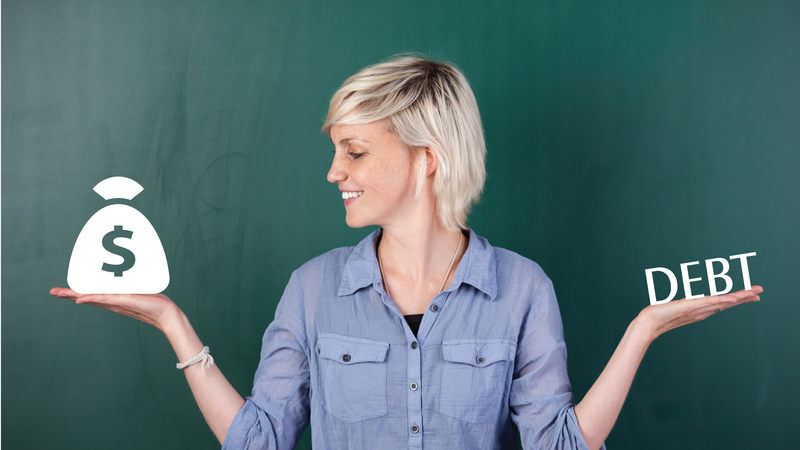 It’s important to understand a credit report and a credit score are two different things. Your credit report is a compilation of credit-related information. Identifying information like name, address, birthdate, Social Security Number. Credit accounts, payment history, current and past loans, etc. Credit inquiries – who has accessed your report within the last couple years. Public records & collections – overdue debt from collection agencies, wage garnishment, liens, foreclosures, etc. The information in your report provides a story of how well you manage your credit and debt and influences a lender’s decision to loan you money? Your credit score is a matrix of your credit report – a 3-digit number, ranging from 300-850. 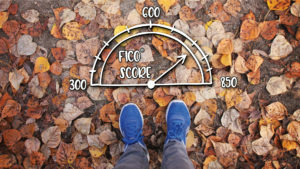 FICO® Scores are most widely used. I asked Lender Jake Dwyer, AVP at RCB Bank, what is the easiest way to maintain a good financial footprint? He also mentioned your credit score reflects your risk at the time it was pulled. It can change depending on your credit behavior. The first step to improving your credit is to know what is in your credit report. Request a copy of your credit report at annualcreditreport.com. Federal law allows you one free report annually from each credit reporting agency: Equifax, Experian and TransUnion. 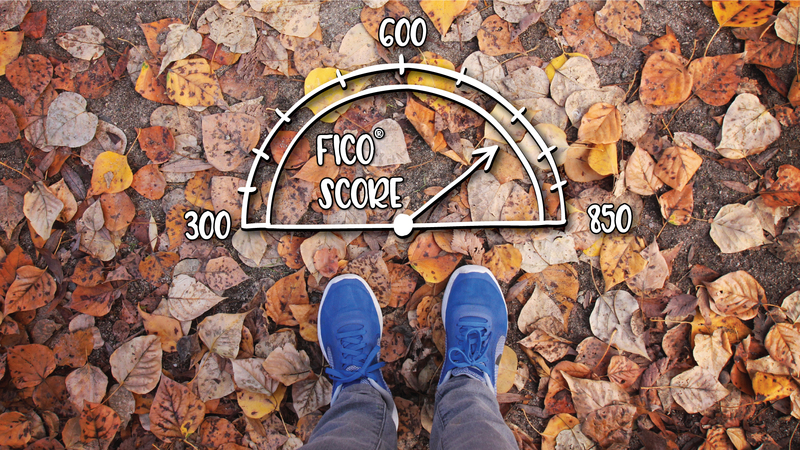 Ask your lender for tips on how to improve your score, or give Jake Dwyer a call at 918.259.1342. Opinions expressed above are the personal opinions of Jake Dwyer, AVP, Loans, NMLS #1413664, and meant for generic illustration purposes only. RCB Bank NMLS #798151. Member FDIC and Equal Housing Lender.